23 March 2018 // Last weekend, 16-18 March 2018, IF joined its Italian member ASBI for the kick-off meeting of the joint Erasmus project SkiXAll, which took place in Madesimo, Italy. The partners of the project: ASBI, the association Freerider Sports Events, the Federation of Italian Paratetraplegic Associations, Handy Club Ostrava (Czech Republic), Active Therapy (Poland), and IF, gathered on Saturday afternoon to get a deeper knowledge on how the project was organised and to discuss the next steps. 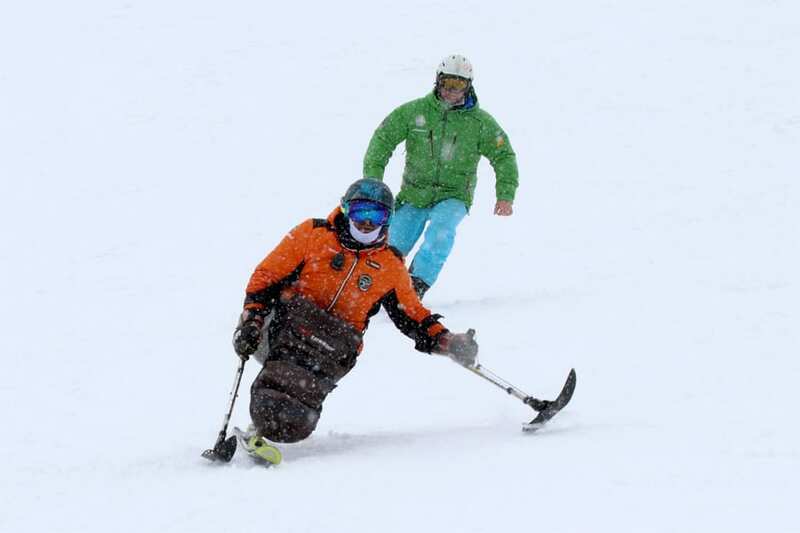 The objective of the project is to promote the inclusion of young people with disabilities in mainstream sports, by raising awareness in schools and by offering training to ski coaches. The sports activities involved will have a high degree of socialising and fun. Guidelines will be developed for school teachers and ski coaches which will include best practices. During the meeting, we were also offered the opportunity to present on IF’s work both at European and international level. We will remain closely involved with this inclusive project and will keep supporting ASBI to disseminate information worldwide about the project’s activities. We hope that by sharing this good practice, it will set an example for others to follow. If you want to know more about the initiative, please have a look at the Italian article: Erasmus sci disabili: SkiXall! You can find pictures from the weekend here.